GeoLander - a modern retro-like tribute to the arcade game classics! GeoLander's simple gameplay is easy to learn yet hard to master. 60+ carefully designed fast paced levels will put your flying, piloting and landing skills to a true test. 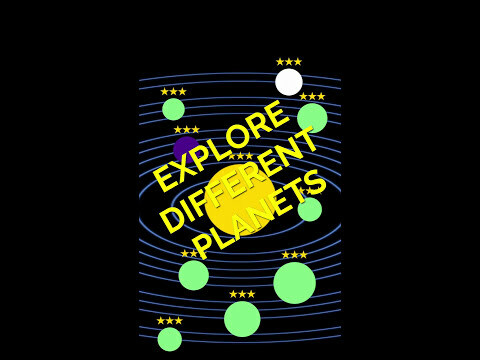 Explore and clear six different planetary systems with a different type of levels. Can you score enough stars and enter the Apeirogo, an ultimate test to your skills? Do you have nimble enough fingers to pilot and land your ship without crashing? This game ain't no child's play like most of the modern games - GeoLander puts your abilities to a true test. GeoLander requires fast reactions and good finger coordination skills just like the old arcade games used to. But like always, practice and repeat makes you perfect. Are you up for the challenge? Do you have what it takes to clear this game? Or are you even one of the finest pilots who can collect all of the stars and unlock the special trophy? Try GeoLander and find out!